We took a short weekend away to explore several rivers. Río Nansa (Cantabria), Río Deva & Rio Cares. The weather wasn’t kind to us. The route was muddy but we still managed a 15 km walk and only saw rain for an hour. 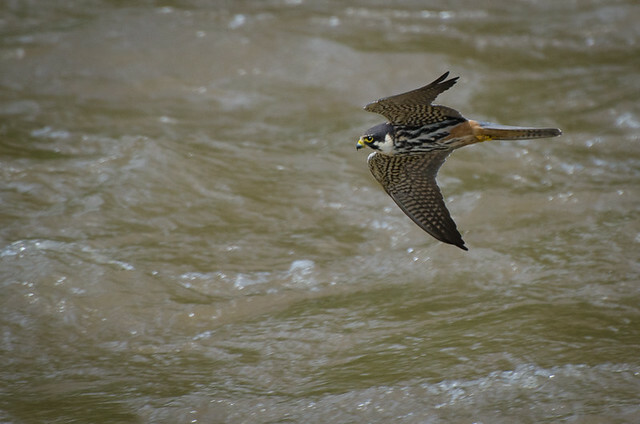 However, the river was high and murky, not the best for photography or wildlife watching. 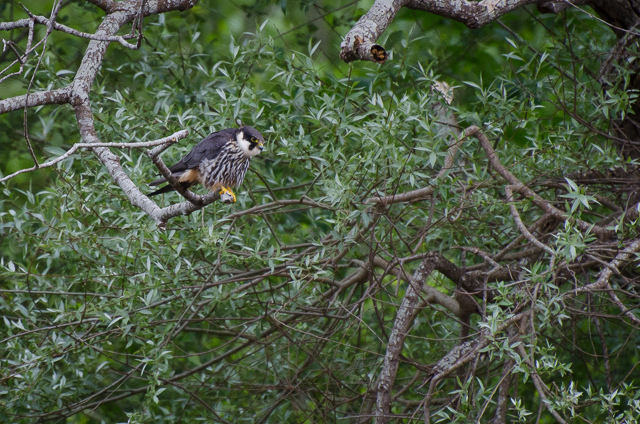 A pair of Hobbies saved the day and entertained us the next morning as well. They performed well and were not put off as I slipped off a large rock and fell down the riverbank. I saved the camera but got a sprained wrist and bruises. Less painful than a new lens. 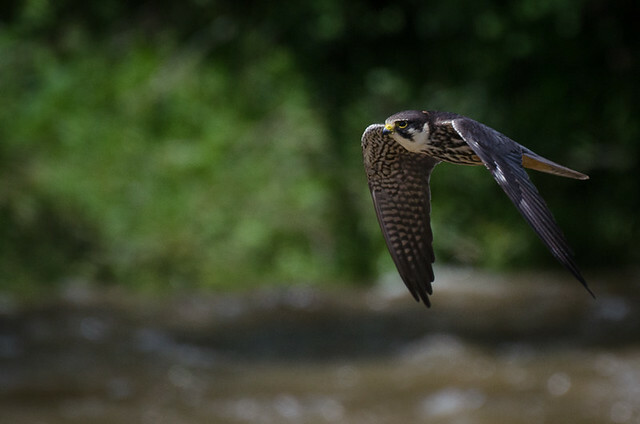 A Hobby (Falco subbuteo) hunting for large insects including dragonflies. When successful it transfers the prey from talons to beak whilst still in flight. During the 2 hours we watched it returned to the same perch after each flight. 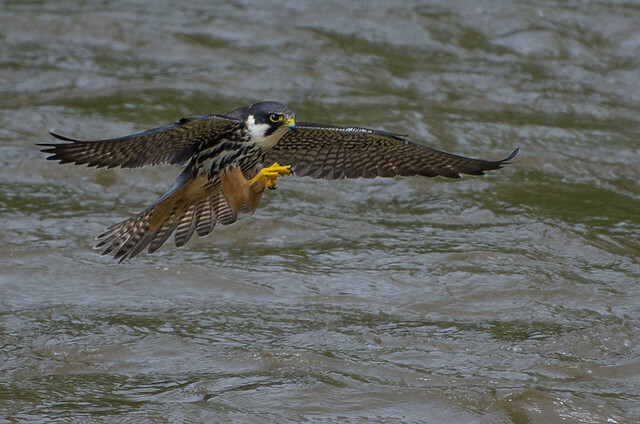 A powerful and acrobatic flight, gliding low over the water and then turning upwards to loop back for another pass. 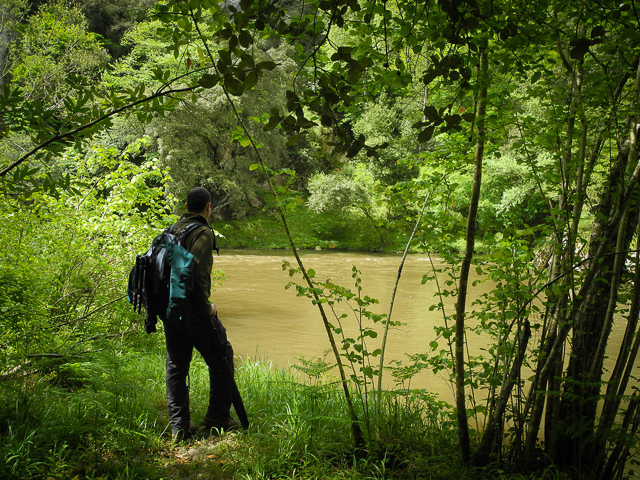 The route between Muñorrodero and Camijanes is a beautiful river walk, although our otter watching didn’t look promising with the weather conditions. 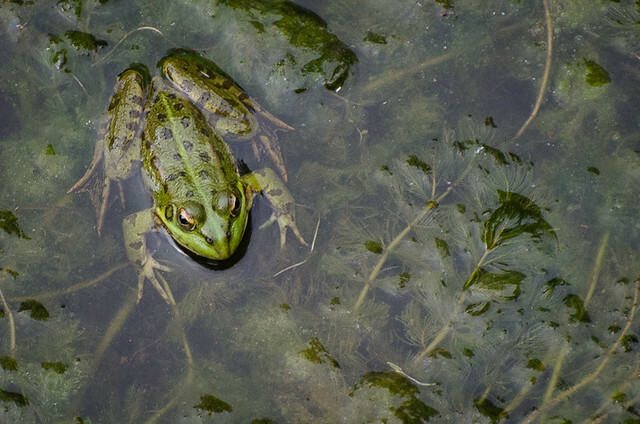 However, there were plenty of frogs, fairly easy to spot once you can locate the direction of the croaking. Yes, they are very impressive and very fast! I took so many shots just to get a few in focus. Good fun though. Wow! Amazing pictures. Congratulations. Just for the record, the Spanish name of this little raptor is ‘Alcotán’. Fantastic shots John, wow, really profesional stuff! Enhorabuena por las magníficas fotos y muchas gracias por mostrar nuestra fauna salvaje…Saludos cordiales.